In our recent blog posts we focused on the power of storytelling in marketing communications. In this post, we’ll have a look at a marketer who used the power of the story to draw people to a restaurant’s new location. After years of operating a successful restaurant in one part of the city, this restaurant decided to build on their success and open a second location in a new part of town. The challenge was that people were so accustomed to going to the first location that they didn’t think about going to the second location. In some cases, people were not really sure where the new location was. To get people to visit the new restaurant, the marketing firm TPSI created a direct mail campaign that told the story of the new location. This mailing campaign included attractive images of the food and décor. The text described the whole dining experience. Together, the text and images gave the reader the feeling of being at the restaurant. 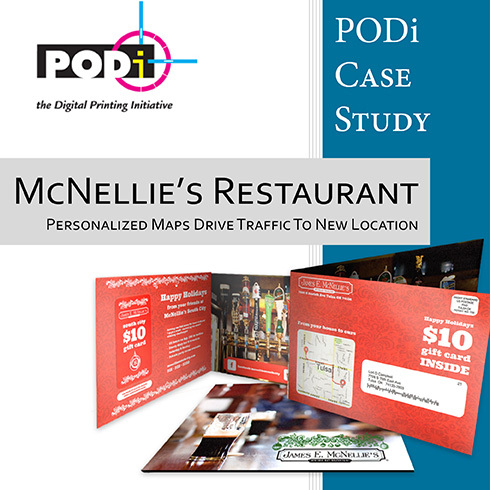 To further tell the story, the direct mail campaign also included a personalized map that provided directions from the recipient’s home address to the location of the new restaurant. The pictures, text and map all worked together to create a story about visiting the new restaurant. The story starts with the route the customer would travel to get to the restaurant and continues by telling them what they will experience when they arrive. To get people to act on the story, the direct mail also included a $10 gift card the customer could use towards their next dinner. The direct mail generated a successful 24% response rate. The campaign was also featured in an article called “What’s New In Personalized Marketing.” You can read the article here. If your story is about location, locr can help you tell it better.